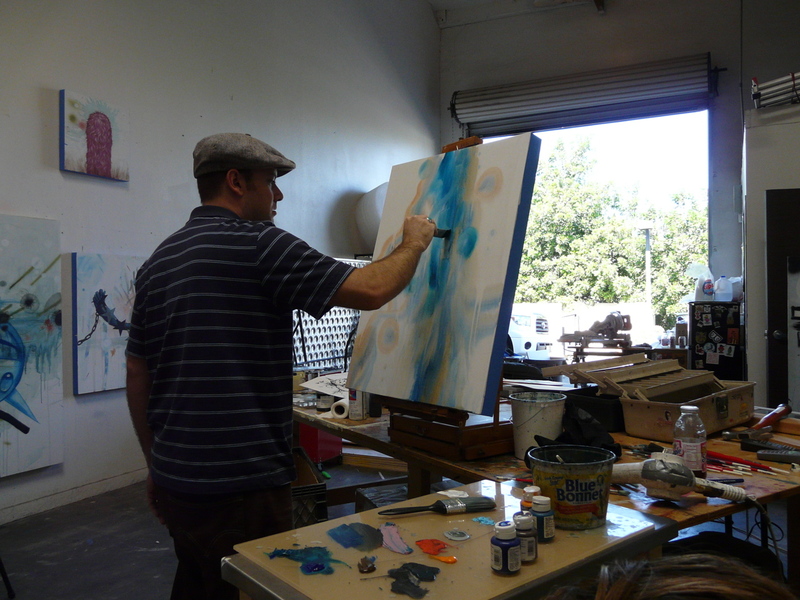 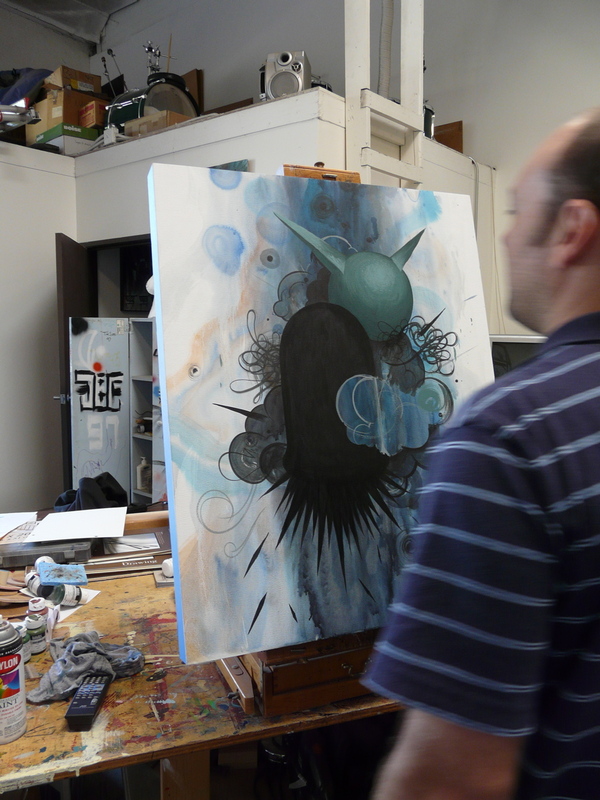 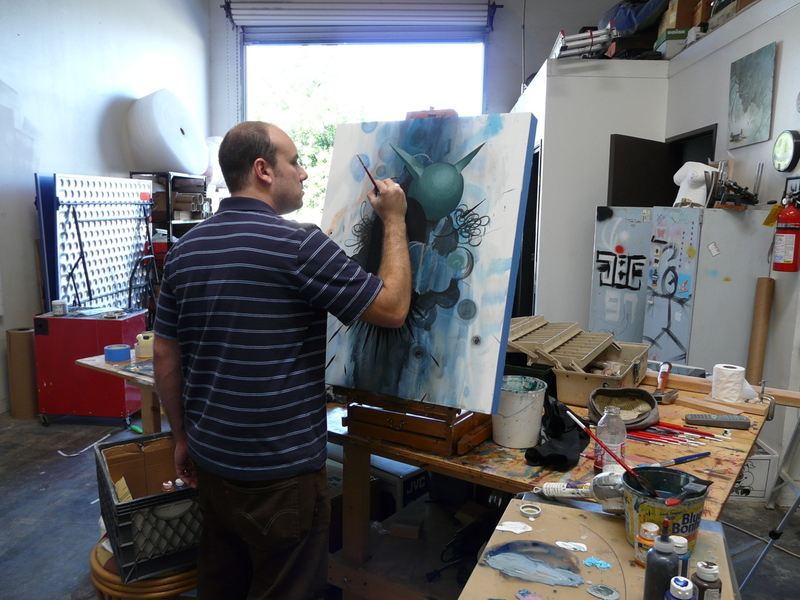 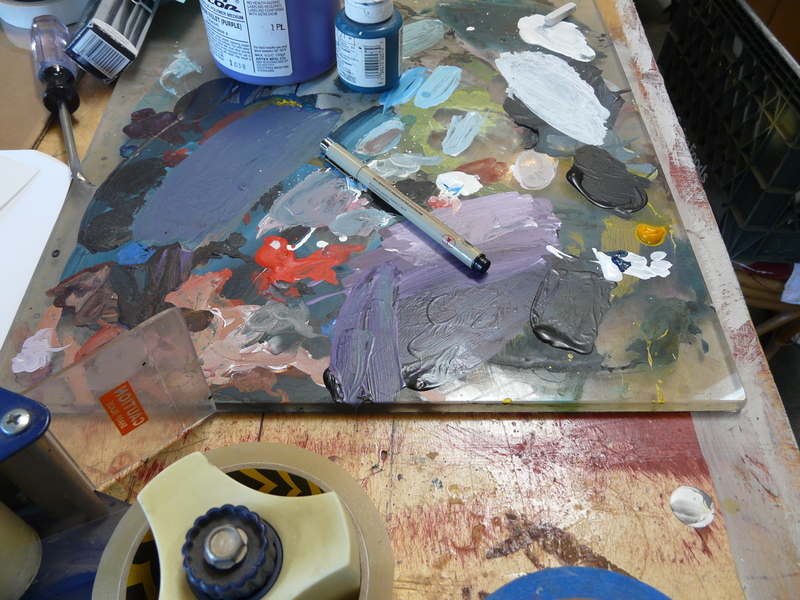 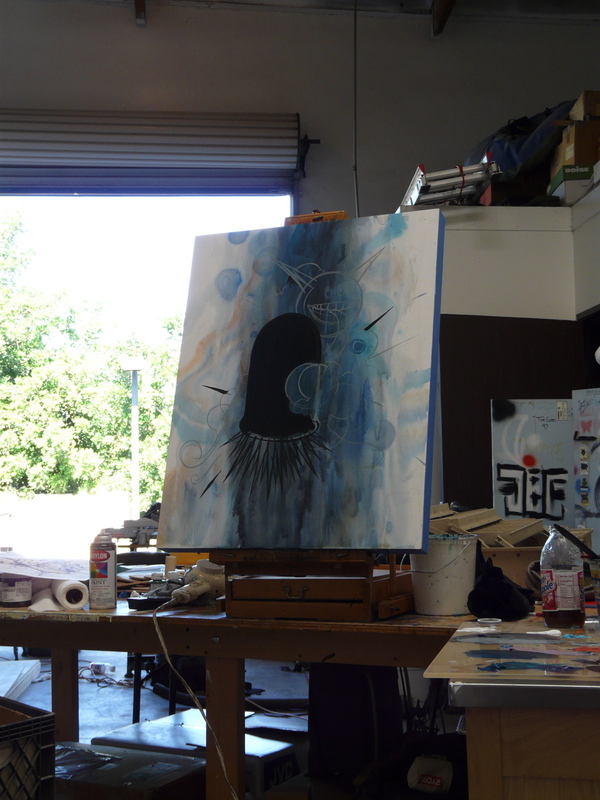 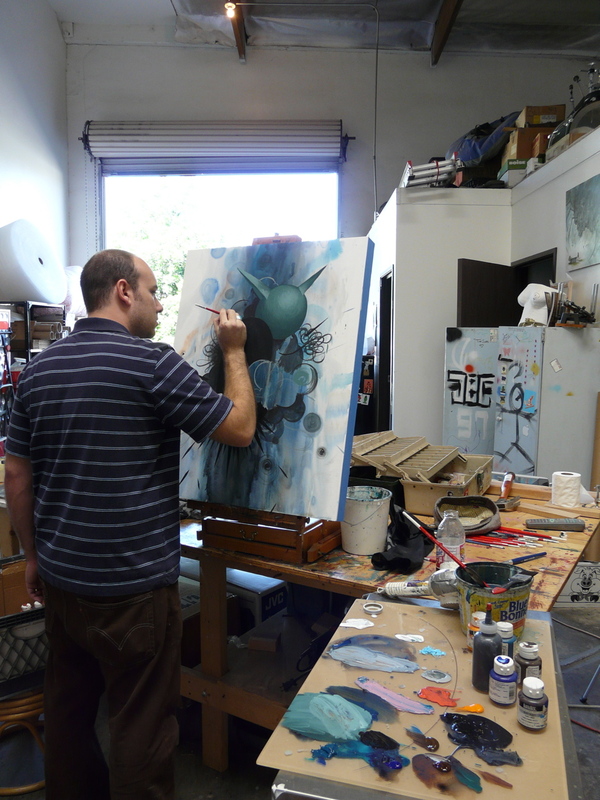 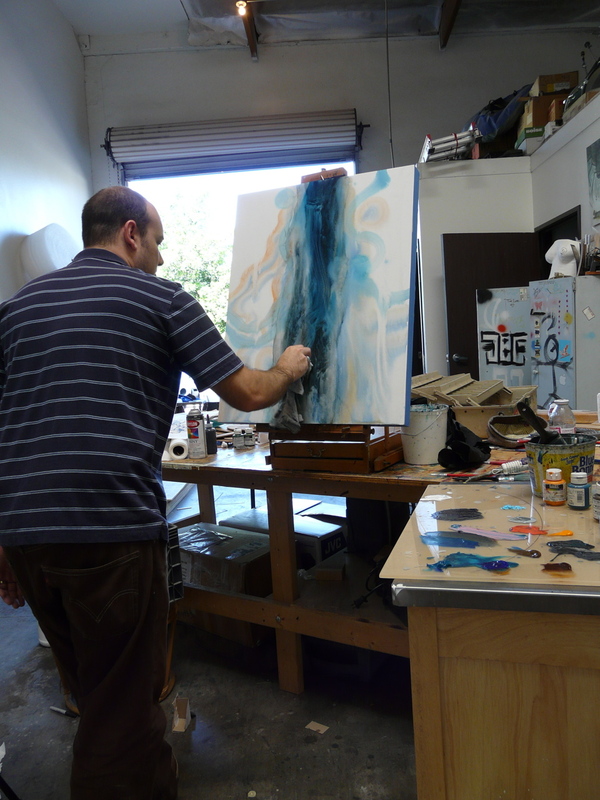 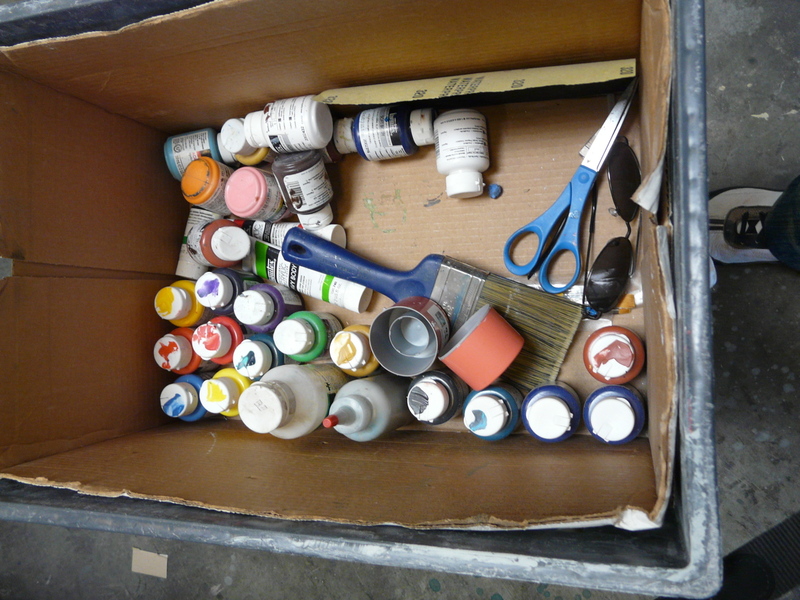 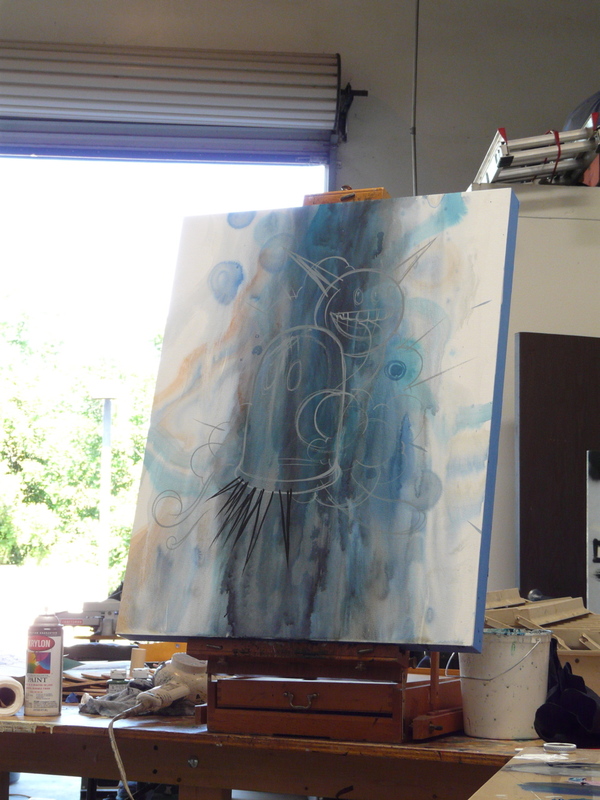 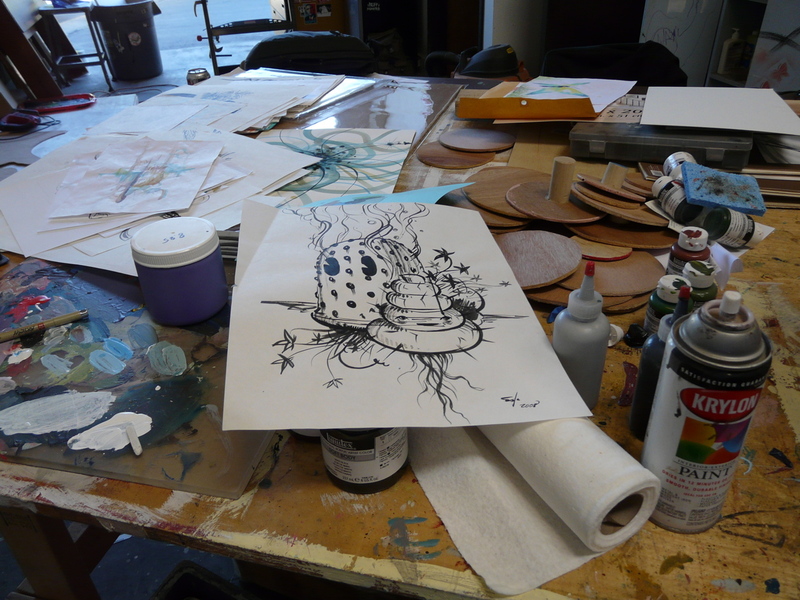 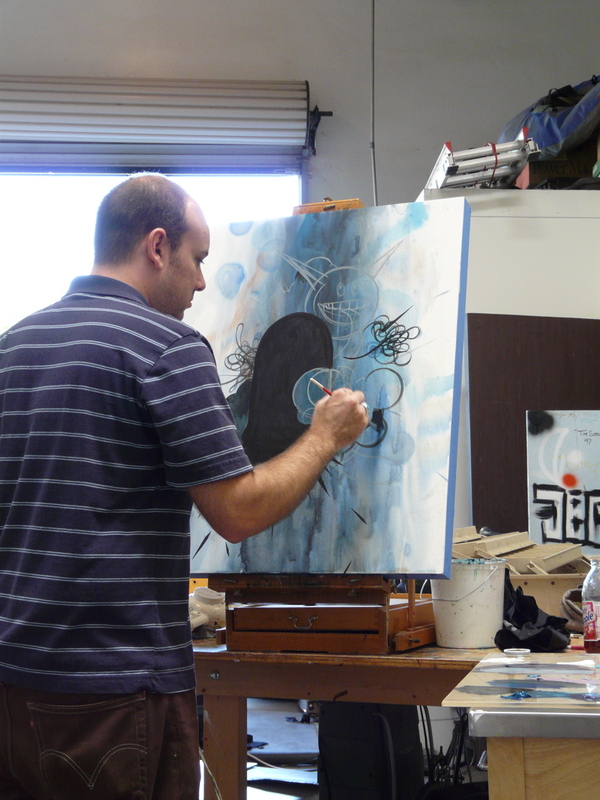 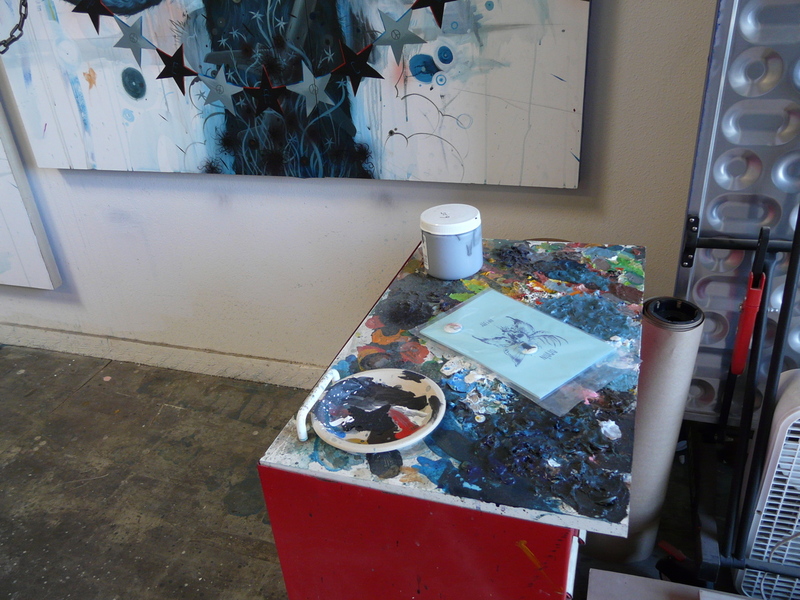 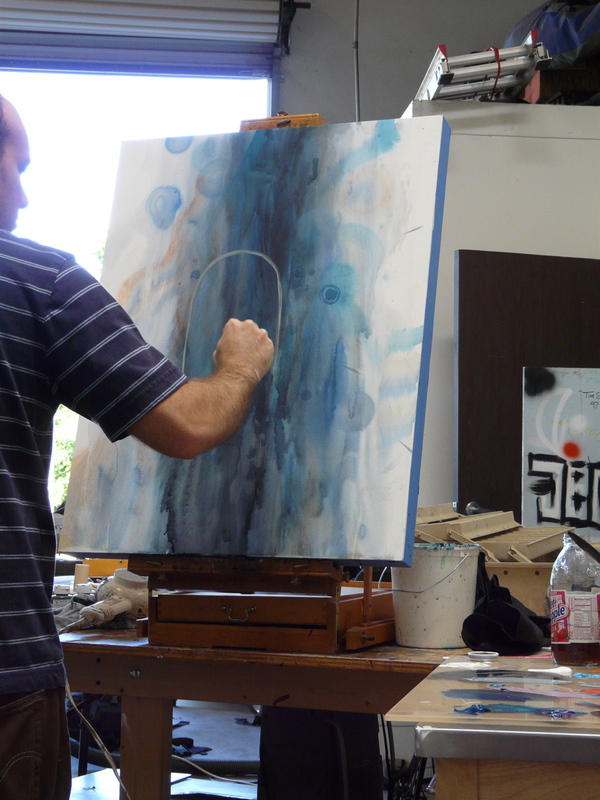 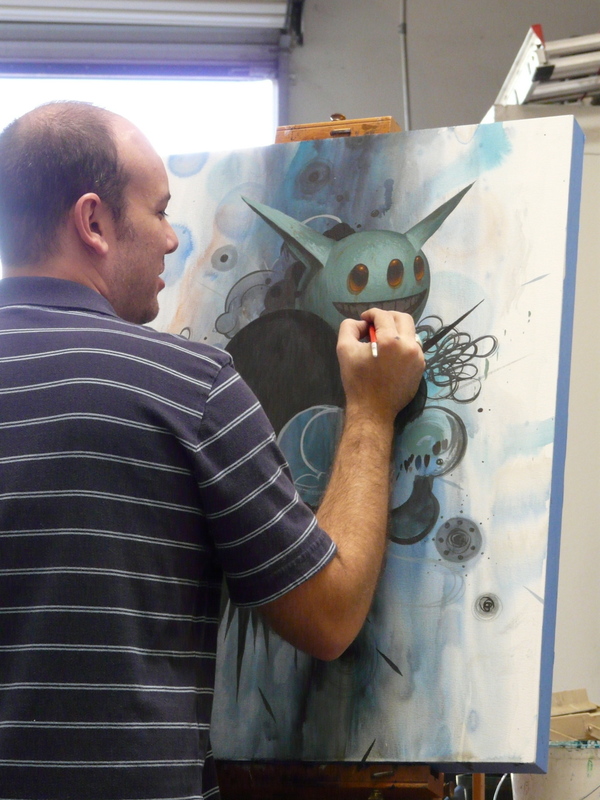 Here is Part II of our visit to Jeff Soto’s studio (see part I here). 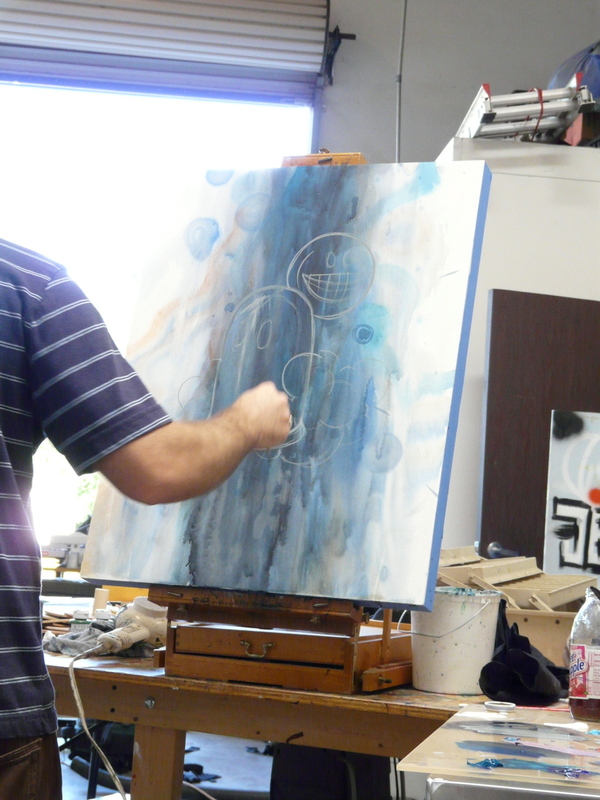 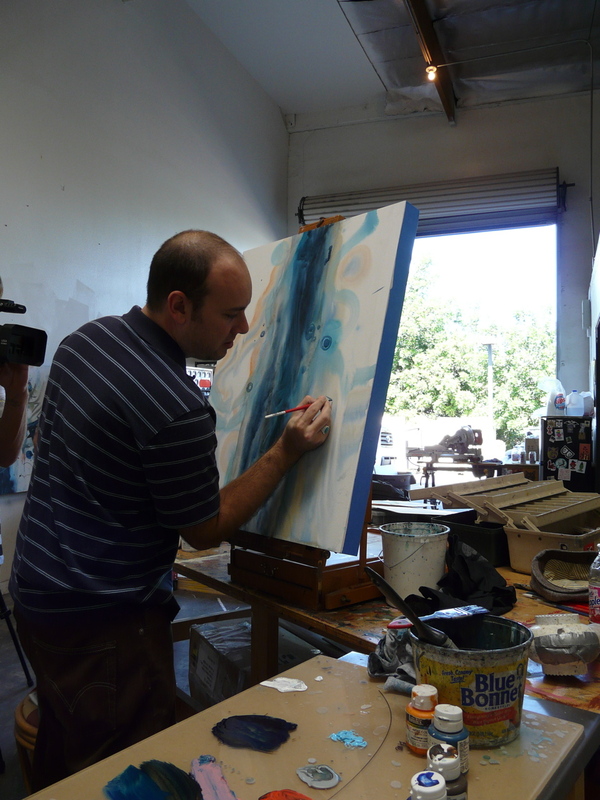 Besides showing us some of his new work for his upcoming show at the Riverside Art Museum, Jeff also decided to let us watch him paint. 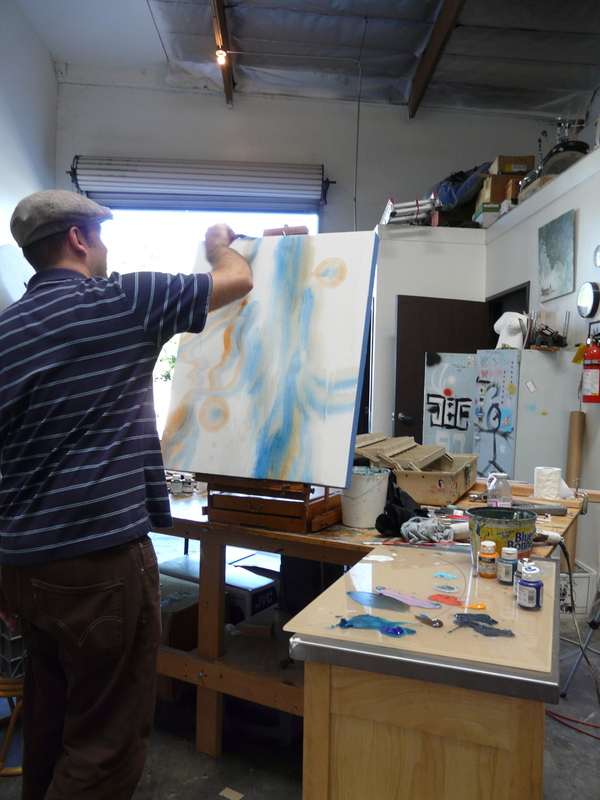 At first, there were just splotches of color he used as the background, but soon characteristic shapes and details were added. 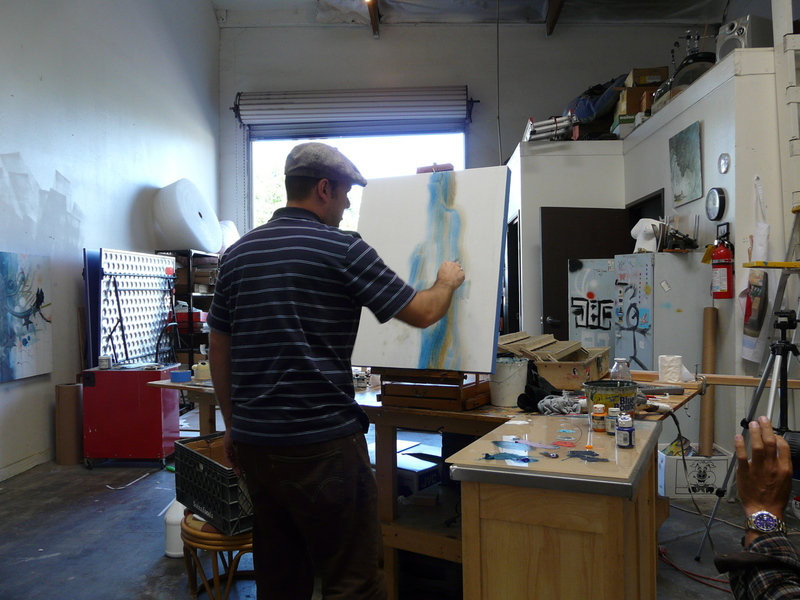 It was a real joy to watch Jeff at work and amazing how quickly he worked. 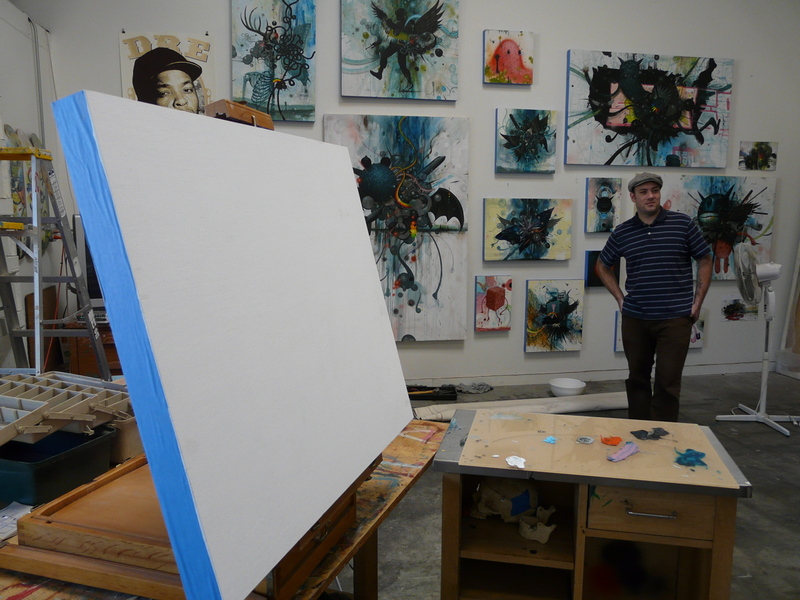 See the process after the jump.